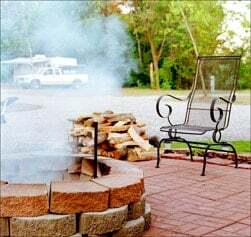 Fish Lake Family Resort, located near Fremont in beautiful northern Indiana, is the perfect location for your next getaway, whether you prefer overnight, weekend, weekly, or seasonal camping. We have modern sites with water, sewer, and electric hookups. Rates are available by the day, week, month, and season. Call to ask about our winter camping. 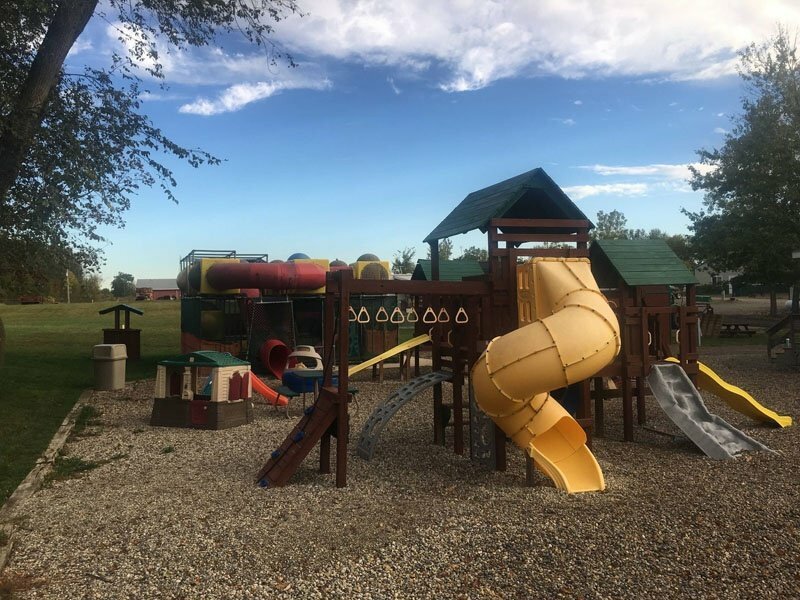 Located in a quiet, secluded location with direct on-site access to Fish Lake, we are only minutes from Fremont, IN with simple access to Interstate I-69 and I-80/90, the Indiana Toll Road. A short drive will take you to Pokagon State Park, Satek Winery in Fremont, the 100 other lakes of Steuben County, and the numerous other beautiful lakes of northern Indiana. You can also visit the Amish community of Shipshewana which is just a half hour away! Heading to Auburn to visit the car museums? Our weekender sites are the perfect places to relax and unwind after your busy day! Looking for a nice atmosphere with great neighbors to call your second home? Our seasonal sites are spacious with ample parking and many on-site amenities! Give us a call or drop us a line to see what we have to offer! Bring the whole family along and enjoy one of the best camping experiences ever! 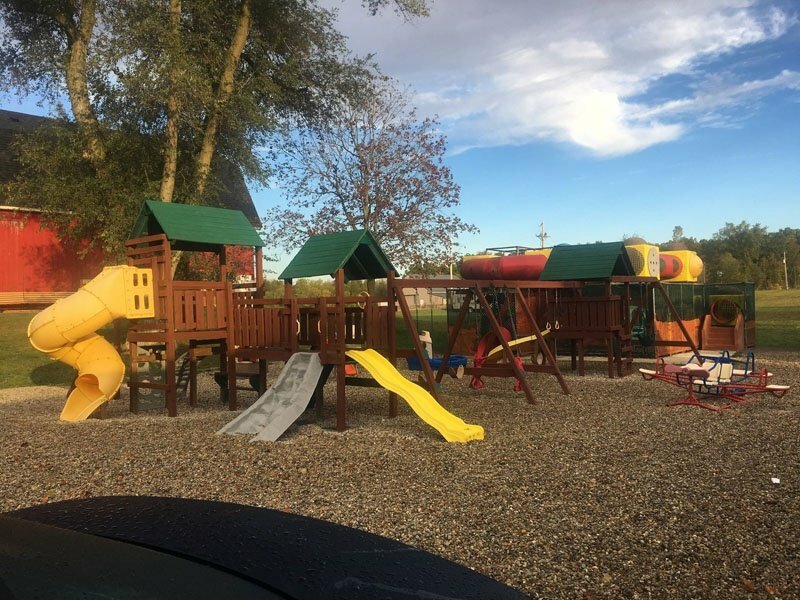 A large playground will keep the little ones busy while you relax! Other amenities coming soon include a game room, modern shower facilities, and a laundry room. All modern sites have water, sewer, and 50-amp electric hookups with ample parking. Fish to your heart's content or try golfing at one of the eight golf courses located only minutes away in Fremont and Angola. How about having your friends come and spend the weekend? There's plenty of room and parking! Check Out Our RV Campground! Reserve your site today for the perfect weekend getaway and bring the family, friends, or just yourself to a little piece of heaven. Take a tour online to see our beautiful campground, and what we have to offer you on your next getaway. Give us a call or send us an email should you have inquiries or concerns. We hope to hear from you soon!